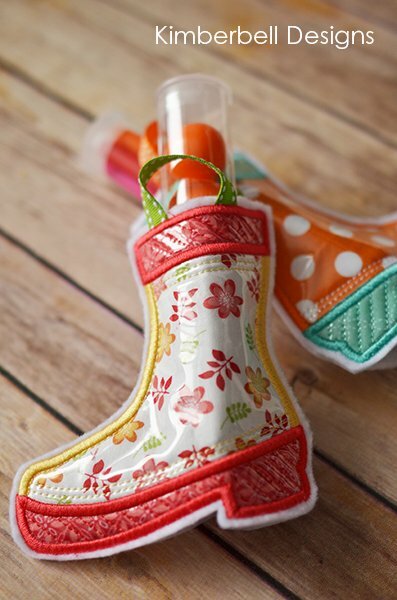 When life gives you rainy days, why not wear cute boots and jump in the puddles? Or,just stay inside and stitch a pair of darling rain boots on your embroidery machine. A layer of vinyl makes happy cotton prints appear like real rubber boots. Kimberbell’s Medium Sweet Tube slips inside each boot with darling ribbon straps. Materials Included: Kit includes design and all fabric to complete the design.